The leader of Turkey’s main opposition Republican People’s Party (CHP) Kemal Kılıçdaroğlu completed his near month-long ‘Justice March’ yesterday with a massive rally in Istanbul. 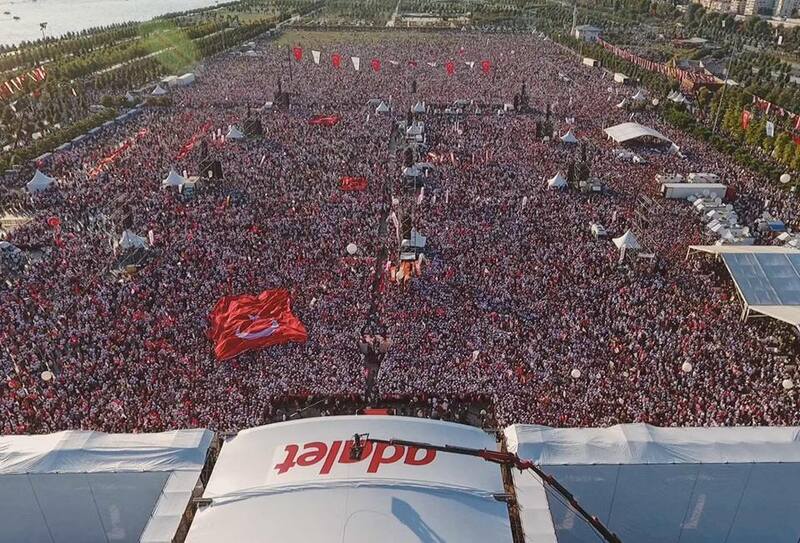 An estimated two million people attended the protest event in Maltepe, on the Asian side of the city, which Kılıçdaroğlu said heralded a “new beginning” for the country. Kılıçdaroğlu arrived at the rally having walked the last leg of this 250-mile trek as he started it, alone, cheered on by thousands of people lining the streets chanting: “Hak, hukuk, adalet” [‘Rights, law, justice’]. Istanbul Governor Vasip Şahin said 15,000 police had been on duty to ensure the event passed off peacefully. Security had been stepped up after police in Kayseri arrested six Turkish Daesh supporters planning an attack on the Justice March, following a tip-off. Once on the podium, Kılıçdaroğlu started by thanking everyone who had accompanied him on the mammoth walk, which had passed through Kahramankazan, Kızılcahamam, Mulak, Gerede, Bolu, Kaynaşlı, Düzce, Hendek, Adapazarı, İzmit, and Gebze. The 69-year-old leader told the huge crowd that, “Everyone should know this very well: July 9 is a new step. It’s a new climate, a new history, a new birth. 9 July is a new beginning.” He then read out his manifesto listing ten key demands, vowing to keep campaigning until these are met. The demands include an immediate end to the state of emergency, reversing “Civil Death” that has led to the arbitrary detention and dismissal of thousands of civil servants, restoring Parliament’s authority, securing judicial independence, and releasing academics, MPs and journalists jailed for publicly criticising the government. Yesterday’s protest rally – the largest held by an opposition party in Turkey since one by the late Bülent Ecevit in 1977 – was a powerful climax to Kılıçdaroğlu’s 25-day march that started in Güvenpark, Ankara, on 15 June 2017. 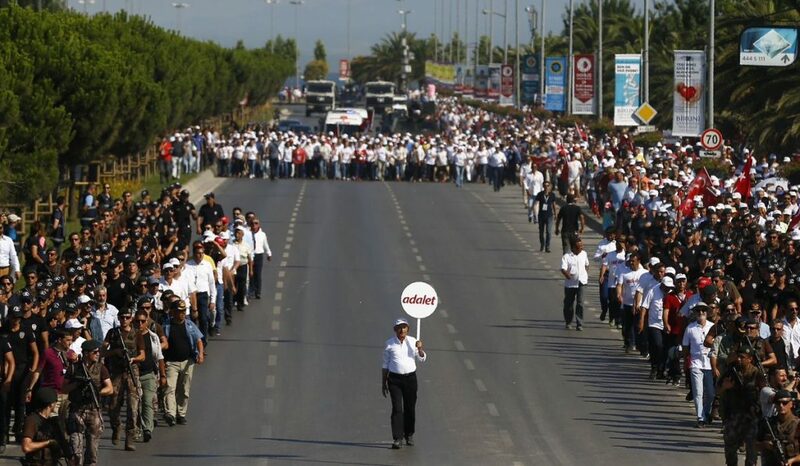 Taking a leaf out of Mahatma Gandhi’s 1930 Salt March, Kılıçdaroğlu’s original intention was to peacefully walk from the capital to Maltepe Prison in Istanbul, where CHP MP Enis Berberoğlu is being held along with other politicians and journalists. 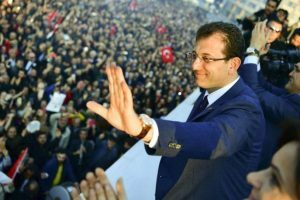 The ‘Justice’ slogan has become a strong rallying cry for many disgruntled members of the Turkish public, who remain highly concerned at the growing authoritarianism and injustices they witness in Turkey on a daily basis. Kılıçdaroğlu had insisted that any who join his March refrain from carrying party political flags and slogans, and simply display the Turkish flag or a placard with the word ‘Adalet’ (Justice). 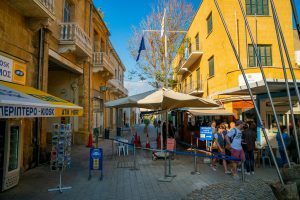 He also warned marchers not to rise to any provocations, but to instead respond by clapping those verbally abusing them. Kılıçdaroğlu’s appeal to the country’s diverse and deeply polarised public worked: crowds on the Justice March became noticeably bigger with each passing day, drawing in people of all ages and backgrounds. Turkish media homed in on known personalities from MHP, HDP and even those formerly of AKP joining CHP to demand justice for all in Turkey. Efforts by President Erdoğan, Prime Minister Yıldırım, and other members of the ruling AKP government to smear the March, accusing organisers of having the same aims as last year’s coup and those participating were supporting “terrorists”, failed to have any impact. Kılıçdaroğlu has emerged stronger within his own party and is mounting serious opposition to Erdoğan’s 14-year grip on power. In an article he penned for Britain’s Guardian newspaper last week titled ‘We are marching to halt Turkey’s slide into authoritarianism’, Kılıçdaroğlu wrote: “Hope is contagious. I see it grow every day on the tired but resolute faces of those who walk beside me. Solidarity breeds courage. Soon hundreds of thousands will join us.” It remains to be seen whether the leader of Turkey’s centre-left party can capitalise on the widespread support for this single issue and turn it into political support at the ballot box.